The start of the school year is an exciting time for the kids. They get to see their friends that they have not seen all summer. They get to relive all of the fun times by telling the stories of summer camp, baseball, the beach and their accomplishments at Fortnite. For parents, it is a time of mixed emotions as they send their kids back to school. Parents are happy to have the kids back to their normal routine, but sad at not having them around. Right, parents? Sending kids off to school on the school bus is a common occurrence that thousands of times a day throughout Long Island and all over the country. There was even a story this week that rapper Wiz Khalifa and his ex, model Amber Rose have opted to send their kindergartner to school on the school bus so he can be with his friends and may have the full school experience. With school transportation, there are very strict rules when it comes to who can drive a school bus and there are rules regarding things such as maintenance of the bus and checking all buses for sleeping children, and what type and how much insurance has to be carried among other details mandated by the New York State Department of Transportation. There are also very common traffic laws regarding school buses such as you are not permitted to pass a stopped school bus with its red lights flashing. Despite laws and all of caution taken, accidents and incidents involving school buses do happen every year. Incidents occur for a number of reasons, such as faulty bus equipment, negligence with the maintenance, poor driver training or even an accident caused by a careless driver that did not properly stop or yield to a school bus. 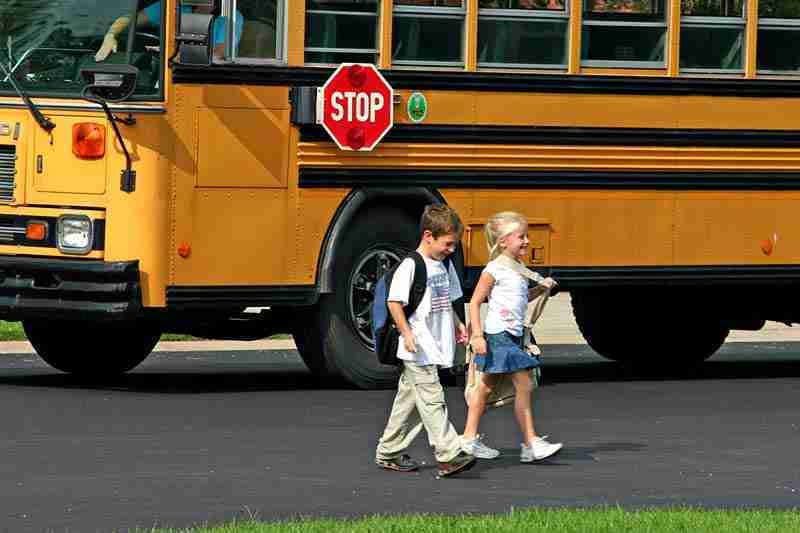 When it comes to dealing with accidents involving a school bus, there are any number of school systems, companies, agencies, and insurance companies that may need to get involved. With all of these parties, you will also need the proper representation to speak for you and your child and look out for your best interests. Elan Wurtzel has been in practice for over 34 years in the area of personal injury law and he is dedicated his practice to helping people in the community who have suffered an injury through the negligence of others. If your child has been involved in an accident involving a school bus, contact Elan at 516-822-7866 for a free, no obligation consultation. With Elan you get the Quality Representation You Need and the Respect, Compassion, and Attention you Deserve.